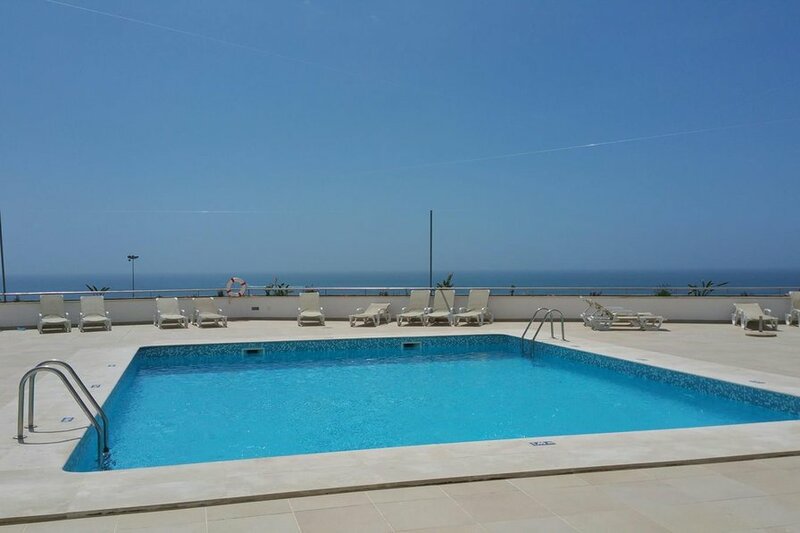 If your idea of a perfect holiday is waking up to stunning beach views, relaxing in comfortable surrounds, and having everything conveniently at your doorstep then this apartment will be just what you need for your fabulous Portugal getaway! Located right on the beautiful beach of Olhos d'Agua, you can call this seaside haven your home and ease yourself into a stress free holiday. Wake up in the morning to amazing views and start making your tough decisions for the day . To catch a bus and explore a neighbouring town or do a walk along the stunning Praia da Falesia beach which stretches all the way to Vilamoura, back dropped by orange-red sandstone cliffs and uncrowded even during the peak Summer periods. The easiest decision that you will have to make is renting this fantastic apartment and enjoying your perfect holiday in Portugal! The apartment is located right on Olhos d'Agua beach. The beautiful Praia da Falesia which stretches all the way to Vilamoura marina is a 5 minute walk. This is a stunning long beach back dropped by orange-red sandstone cliffs which is uncrowded even during the peak Summer periods. Praia da Maria Luisa and Praia da Santa Eulalia are less than a 5 minute drive. All beaches have blue flag status with bars, restaurants and facilities available at all. Two 9-hole courses are less than 5 minutes drive, at the Sheraton Pine Cliffs and Balaia Golf. Vilamoura, with its 5 golf courses, known as some of the best in Europe, is only a 10 minute drive. Numerous other championship courses are within easy reach. Apartment approx 25 minutes from Faro Airport along the A22 motorway. We can arrange transfers and also recommend a car rental company. Car hire is not essential as beach, shops, large selection of restaurants all within a few minutes walk. Located on the beachfront of Olhos d'Agua with bars, restaurants, banks, post office and shops all close by. 4km Albufeira/Oura (The Strip) - shopping, nightlife bars/clubs, Bullfighting. Cost 6€ in taxi. 8km Vilamoura - 5 golf courses, marina, restaurants. 12km Algarve Shopping- massive selection of shops, restaurants and cinema. Courtesy buses provided. Waterslide Parks, Zoomarine, Crazy World - all a short drive away. Welcome packs from basic to your requirements can be provided. Price on request. Apartment price includes all utilities and air conditioning.